During a time of the year when research usually begins to slow down for summer, this year I continued to receive queries from several new Bassett families per week. I am running a little behind getting all of this information typed in due to a computer virus on my home computer, but hope to catch up by the end of May. Work continues on the input of data into our website database. We are currently working on generation 9 for the descendants of #1A William Bassett of Plymouth. 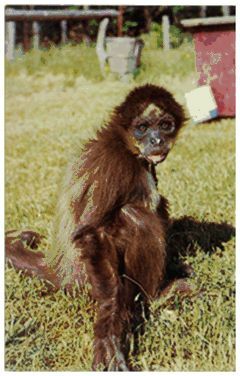 Several new DNA kits were sent out this month, one to a new line from Lincolnshire, England, not yet covered in the DNA project as well as several to family lines already in the study. Results are back for the Bassetts of Tewkesbury, England and can be seen below in the DNA section. David Bassett, son of David and Mary (Edward) Bassett, was born 1 Dec 1809 in Hengoed, Llanelly, Carmarthen, Wales. He was christened 16 Dec 1809 in St. Elli Parish, Llanelly, Wales. He died 20 Oct 1889 in Carterton, New Zealand. 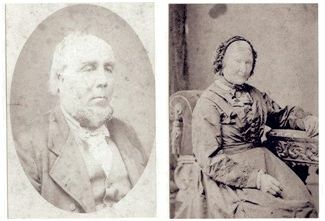 He married Ann Fraser on 21 Oct 1836 in Port Glasgow, Scotland. She was born 2 Aug 1811 in Alloa, Scotland. She died 13 Feb 1888 in Carterton, New Zealand. They emigrated to New Zealand in 1854. David was a sea captain. + 202B22311. Elizabeth Mitchell Bassett - born 1839 in Port Glasgow, Scotland, died 20 Jul 1914 in New Zealand, married John Udy. 202B22312. David Bassett - born 1841 in Port Glasgow, Scotland, died 19 Mar 1914 in Carterton, New Zealand. + 202B22313. John Bassett - born 1845 in Port Glasgow, Scotland, died 13 Jul 1918 in Carterton, New Zealand, married Margaret Dixon in Carterton, New Zealand. 202B22314. Margaret Bassett - born 1852 in Port Glasgow, Scotland, died 1940 in New Zealand. To hundreds of folk of two generations the name of the late Seth C. Bassett is held in grateful memory, if only because he introduced a new and valuable method of enjoying life. A native of Lovell, Maine, and from boyhood familiar with the mountains and valleys, the winters and the summers of northern New England, he hit upon the idea of trying to get other people to know and appreciate the winters of the north country. In 1895 he started the small tourist agency which later was to become so widely known, and he investigated the advantages of the various places he knew as possible headquarters for winter sports. He chose Intervale, New Hampshire, as the spot most suitable, accessible and picturesque. Persuading a few to make up a party for a winter trip to his base between the mountains, he personally conducted the group and directed their sports. In this simple fashion was the winter sports idea born and Intervale made the Mecca of the winter sports lovers, particularly the girls of Bradford and Abbott academies, the Lasell, Rogers Hall, and Sargent schools, Radcliffe College, and many other groups which annually made their way to Intervale. When Mr. Bassett conducted his first parties, the stagecoach was the only method of transportation available, which perhaps made the journey more thrilling than today. 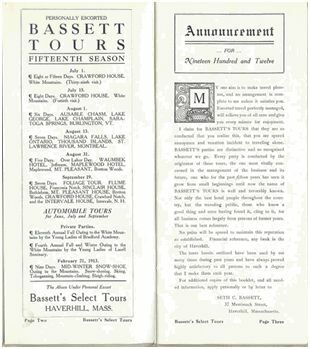 Besides being the pioneer in organizing and developing winter sports, Seth C. Bassett also established a travel bureau whose scope was the globe. In Haverhill he also carried on an extensive business in insurance, both of which activities are now under the management of his wife, Lillian Y. Bassett. At one time Seth C. Bassett was part owner of the Haverhill "Gazette", the leading newspaper of the city, and was in important factor in bringing about a rise in circulation from six hundred to nine thousand. After selling out his newspaper interests, for a time he was the proprietor of the Boston "Journal of Chemistry." Seth C. Bassett died on July 4, 1930, sincerely, mourned by the thousands all over the world with whom he had come in personal contact. He had contributed to the sum total of the recreative pleasures of life, a mode of enjoyment that was entirely wholesome and beneficial. This is his true memorial. In Haverhill he had been a useful and public-spirited citizen who had won the respect and affection of its citizens. He was a popular figure in Merrimack Lodge, Free and Accepted Masons, and a Knights Templar and was a member also of the Pentucket Club. Mr. Bassett is survived by his widow, Lillian Y. (Bassett) Bassett, member of the Haverhill Women's City Club, and prominent in social, civic and humanitarian circles. Harry W. Bassett, age 83, of Surrey ME and Citra Fl, passed away at the VA Hospital in Gainesville, FL on January 23, 2010. Born in Brewster, MA in 1926, he was a WWII veteran serving his country from 1944 to 1946. 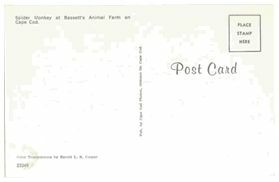 He was the founder and longtime owner/operator of Bassett's Wild Animal Farm in Brewster till his retirement in 1979. Upon his retirement, he moved to Mariaville, ME and later to Surry, ME. He also wintered in Citra, FL. In line with his lifelong interests in all wildlife and the environment, he and his wife recently donated acreage to the Brewster Land Conservation Trust. He is survived by his wife of 62 years Olivia (Mello) Bassett, his son Wally and wife Judy of Citra, FL. Plus many nieces, nephews and cousins. He was preceded in death by his sisters, Phyllis Lapier, Evelyn Harrold, Marjorie Lee, Gene Boswell and a brother Winthrop Bassett. 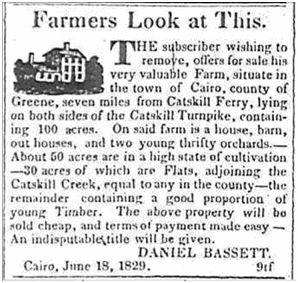 The Subscriber wishing to remove, offers for sale his very valuable Farm, situate in the town of Cairo, county of Greene, seven miles from Catskill Ferry, lying on both sides of the Catskill Turnpike, containing 100 acres. On said farm is a house, barn, out houses, and two young thrifty orchards – About 50 acres are in a high state of cultivation – 30 acres of which are Flats, adjoining the Catskill Creek, equal to any in the county – the remainder containing a good proportion of young Timber. The above property will be sold cheap, and terms of payment made easy – An indisputable title will be given. I have not yet identified the family of this Joseph Bassett. Joseph Bassett, of Webster, Mass., was instantly killed early Saturday morning about a mile and a half from Castleton. He was employed by Sig-Sautelle, who owns a one ring circus, which appeared at Philmont and Chatham last week. The circus showed at Castleton Friday. 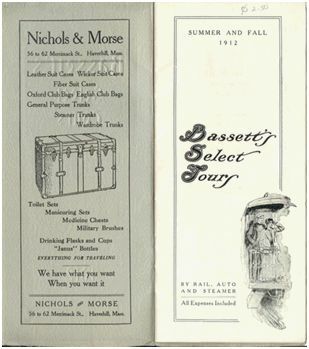 Bassett was laid off the day before, but asked permission to accompany the show to Albany, where he said he thought he could secure work, and Sautelle granted his request. The circus left Castleton late in the night for Rensselaer, where it showed Saturday. Bassett was asleep on the top of one of the reserved seat wagons. About a mile from Castleton the road turns abruptly and is very narrow. When the wagon made the turn it turned right over and went into the gully, horses and all, the wagon burying Bassett. The driver, a Frenchman named DuShon, sustained a broken wrist. A man was dispatched to Castleton for a doctor. When he arrived he found Bassett dead. The horses were badly cut and the wagon demolished. The #391B Bassett of Tewkesbury, Gloucester, begin with a Thomas Bassett and his wife Ann married about 1760. + 391B1. Charles Bassett - christened 27 Dec 1765 in Tewkesbury, Gloucester, England, married Mary Sheen on 26 Oct 1790 in Tewkesbury, Gloucestershire, England. + 391B2. Thomas Bassett - christened 5 Jan 1771 in Tewkesbury, Gloucester, England, married Ann Fletcher on 25 May 1798 in Tewkesbury, England. 12 marker DNA results for this family line (Kit #171946) match the Bassetts of Hints, Warwick, England. I am waiting for the complete 37 marker results, but this seems to indicate that this Gloucester family belongs to the main group of Bassetts found in Staffordshire, Warwickshire and Cornwall. The Bassetts of Hints can trace their ancestry back nearly 1,000 years. Hopefully with this new knowledge, we might be able to place the above Thomas Bassett. This is the second Gloucester family line to take part in DNA testing (the other was the Bassetts line of Randwick) that matched to the main group of Bassetts found in England.